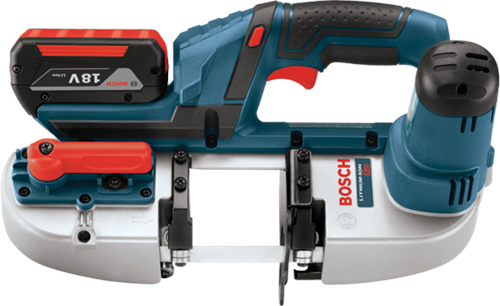 The Bosch BSH180 18V Compact Band Saw is designed for easy cutting in tight spaces, corners and overhead. 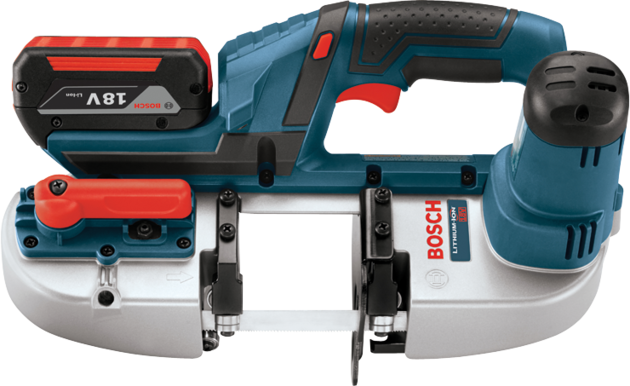 It has a cut rate of 530 surface feet per minute, and it accommodates most common size materials with cuts up to 2-1/2 In. on a single pass. It delivers precise cuts to a variety of metal materials – including conduit, uni-strut, threaded rod and copper pipes. The saw can save time by making clean cuts in pipe (without sparks), lessening the need for grinding and deburring the cut metal. Engineered to be able to change out blades quickly and easily, this tool also has a soft-grip handle for user comfort and an integrated LED work light to illuminate the cut line in dark areas. The battery pack is designed to be above the handle for an even distribution of weight. The saw is built with an aluminum base to withstand harsh jobsite conditions.